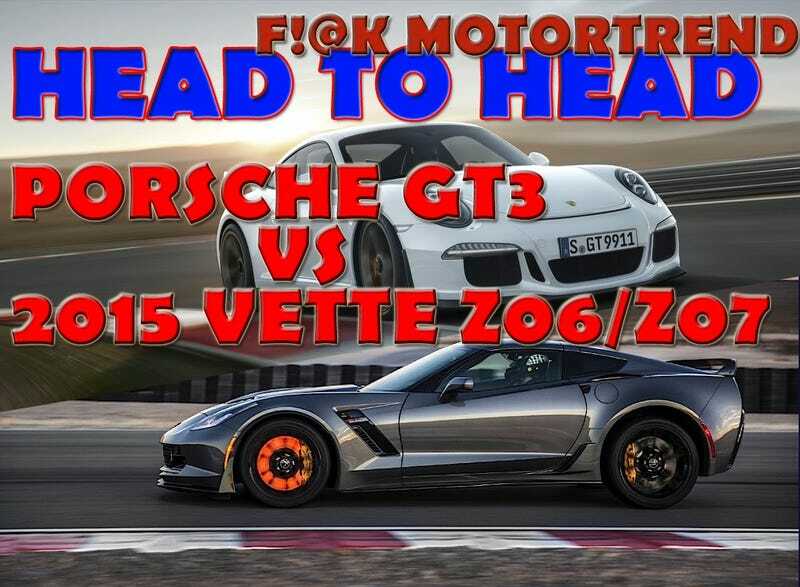 NOW DO YOU SEE WHAT HAPPENS WHEN YOU PUT AN AUTO IN THE CORVETTE Z06? This, this video, is all your doing, GM. It used to be nobody fucked with a Corvette Z06 unless they knew how to drive because the car was unfiltered and uncomfortable. That’s one way to win a trackday, bro. Now it has an automatic and a torquey supercharger and a targa roof and nothing that dissuades some ‘I Drive Flat Out’ moron from getting behind the wheel and driving like a maniac around a bunch of other idiots at a trackday. This guy is driving all over the track out at Fontana, he’s mashing the gas with the steering cranked right in the middle of the corner, and he’s driving like a moron all in the hopeless pursuit of a Porsche 911 GT3 that (for reasons unknown) he believes is being driven by a professional racer. It’s a trackday, you dingus. Don’t go risking your life and those around you to ‘beat’ someone who isn’t even racing you. And don’t cuss them out when you pass them. And definitely don’t take your hands off the wheel at triple digit speeds to honk the horn. You sowed these seeds, GM. Now you’re reaping the consequences.